Every year organisations put huge amounts of resource into the maintenance of electrical systems and equipment to prevent electrical accidents. It is fact however; that people are the biggest cause of accidents through inadequate working practices and procedures. The reality is that simple mistakes in working practices can be catastrophic as charges under the Health & Safety at Work Act 1974 can be brought and also run alongside a prosecution for corporate manslaughter; both of which have unlimited fines and the possibility of a jail sentence for those found guilty for gross organisational or management failing which resulted in a persons’ death. Employers, employees and the self-employed have a responsibility to ensure that the correct precautions are taken against the risk of death or potential injury from electricity in all work activities. Current regulations such as the BS7671:2008 "Requirements for electrical installations- 17th Edition", 'Provision and Use of Work Equipment 1998, Section 19 Energy'', and the Electricity at Work Regulations 1989, Regulation 13' are all designed to prevent needless deaths and serious injuries to personnel. Employees must be competent and know how to apply energy isolation through instruction and training on safe systems at work. The tools and equipment appropriate for their work also need to be provided. 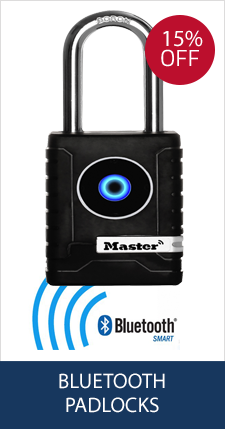 Lockout/Tag Out System is a system which is most effective in managing electrical safety and isolation in the workplace. Lockout/Tagout is a safety procedure that can be used in domestic, commercial and industrial premises. 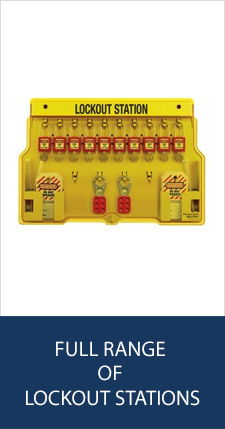 A safety padlock and electrical lockout device such as circuit breaker lockout is used to isolate or ‘de-energise’ the equipment so hazardous energy can be controlled and isolated during equipment maintenance. No-one can turn on the energy source (switch) while work is being undertaken in order to prevent accidental start-up and possible injury or death. All energy sources are potential hazards and this ‘energy’ can be in the form of electrical, mechanical, hydraulic or pneumatic. In a group situation, e.g. when two or more employees are working on different parts of a system, the locked-out device is first secured with a lockout hasp (folding scissors clamp) that has many padlock holes capable of holding it closed. Each employee applies their own padlock to the clamp. The locked-out device cannot be switched on until all workers have signed off on their part of the maintenance work and removed their padlock from the clamp. The use of a safety padlock with a relevant locking off device, e.g. circuit breaker lockout ensures that the disconnection and separation of equipment from electrical energy is secure (Lock out) and as part of safe isolation procedures; caution, danger notices or tags (Tagout) must be used at the point of isolation to show other employees that maintenance work is being undertaken, who by, the task they are performing, and the date and duration of the operation. Equipment cannot be used until the work has been completed and the tag and lock removed by the worker. Simply, placing a piece of insulating tape over a circuit breaker switch is just not adequate, it’s unsafe and does not comply with regulations which can ultimately end in serious injury or death. Safety Series Lockout Padlocks can only be opened with one unique key and the key is always retained by the employee carrying out the work, or a supervisor who is signing off the work as part of the lockout/tagout process. One key is crucial in ensuring there are no key duplications which can cause incorrect or unauthorised removal of safety padlocks ensuring workplace safety. Safety padlocks can be manufactured specifically for an employee who has to carry more than one padlock (keyed alike) to lock off a number of systems and still ensure that one key fits all these padlocks. This key number is registered by the manufacturer to that specific business and employee and so additional padlocks can be added at a later date. Safety Series Lockout/Tagout solutions for individual use by an electrician can be purchased from as little as £15 to a £100 for a complete kit. The cost of introducing Safety Series Lockout/Tagout versus the potential loss of a life or serious injury therefore, bears no comparison. Lock out/Tag out (LOTO) should be recognised as a fundamental extension of an employees’ personal protective equipment and anyone involved in electrical work or any other source of energy should ensure LOTO becomes as common place as putting their work boots on in the morning; their protective hat, respirator or their work gloves. LOTO saves lives.